The growing consumption of the ‘rich’ in ‘poor’ countries has been a running theme in the climate change debate for some time now. A large majority of opinion makers in developed countries, especially the US, are convinced that rising consumption of the rich in the developing world is responsible for climate change. In the last few years, the theme of the egregiously consuming middle class in India scorching the world has taken a whole new form. In this form, the excesses of the developed world are hidden. The problem is not the lifestyle of the North; rather, it is the burgeoning consumption of the South. I have a problem with this narrative. I do support and propagate the view that there is a level of consumption that is required to meet basic needs of everyone in the world. Let’s start a serious debate around sustainable consumption and production (SCP). To do this, let’s compares consumption and emissions of the rich in India with that of the rich in the US. There is absolutely no comparison between the consumption expenditure of the average American household and that of the average Indian household. In MER terms, the average per capita consumption expenditure in the US is 37 times higher than India’s (US $33,469 as compared to US $900). 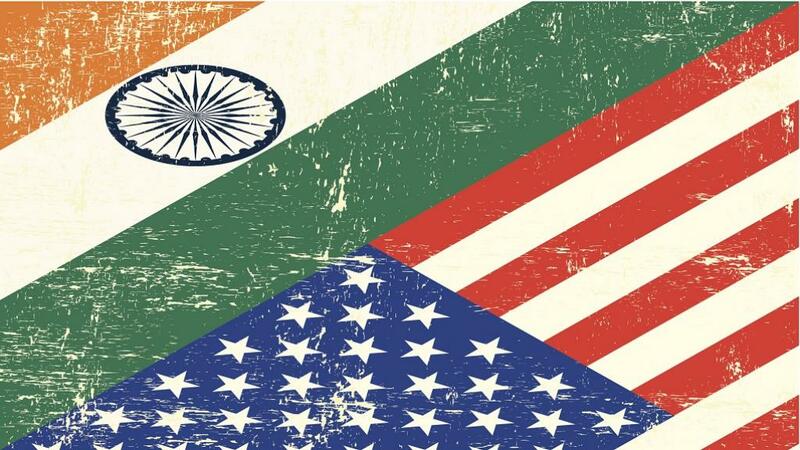 Even in terms of PPP, the average per capita consumption expenditure in the US is 11 times higher than India’s (US $33,469 as compared to US $3,001). To enable comparison, Indian rupees have been converted to US dollars both in terms of the market exchange rate (MER) and purchasing power parity (PPP). In MER terms, an average American spends 15 times more on food and beverages, 50 times more on housing and household goods and services, over 6,000 times more on recreation, and over 200 times more on health compared to an average Indian. Comparing ‘averages’ is, therefore, meaningless. The topmost consuming class in India is the top 5 per cent of urban households, or the urban 12th fractile class as per the National Sample Survey Organisation (NSSO) consumer expenditure survey 2011–12. The richest Indians consume less than even the poorest 20 per cent Americans. If we consider the consumption expenditure in terms of MER, the richest Indians consume less than one third of the poorest 20 per cent Americans. Even if we consider the consumption expenditure in terms of PPP, the richest 5 per cent Indians still spend on goods and services close to what the poorest 20 per cent Americans do. Data on the energy-related products and services for the richest Indians has been compared with that for various classes of Americans for the year 2014. This is the closest year to 2011–12 for which data on electricity prices in India is publicly available. Petrol prices in India are actually higher than in the US. In 2014, the average pump price for petrol in India was US $1.2 as compared to US $0.91 in the US. So, a dollar in India, in terms of MER, actually buys less petrol than a dollar in the US. The annual per capita expenditure on electricity and fuels and on gasoline and motor oil of the richest 5 per cent Indians was about US $241 in 2011–12. The corresponding expenditure for the poorest 20 per cent Americans is about US $1,500—more than six times higher than that for the richest 5 per cent Indians. The expenditure of the richest 20 per cent Americans on energy goods is US $2,145, about nine times higher than expenditure of the richest 5 per cent Indians. Assuming equal prices of energy (an underestimation for consumption in the US), the richest in India consume less than one sixth of the energy the poorest 20 per cent in the US consume. Per capita CO2 emissions (excluding emissions from land use, land use changes and forestry) of the top 10 per cent of Indians are similar to per capita emissions of the bottom 20 per cent of Americans. The per capita CO2 emissions of the richest 10 per cent Indians are about 4.4 tonnes. In comparison, the per capita emissions of the richest 10 per cent Americans are 52.4 tonnes— almost 12 times higher than that of the richest Indians. The per capita CO2 emissions of the poorest 10 per cent Americans are about 2.4 tonnes. This is 60 per cent higher than the average per capita CO2 emissions of India. If we rely only on efficiency improvements, it is near impossible to meet the Paris Agreement goal. Efficiency is not sufficiency—without addressing consumption it would be near impossible to meet the climate target. The idea of an ultimate win-win—to consume but not pollute is a mirage. The question the world faces today is not whether consumption should be curtailed, but how. The definition of sustainable consumption and production must reflect this.